As the days get colder and darker, we find ourselves hitting the snooze button more often. While we love our beauty sleep, this staying-in-bed life means we have to cut corners elsewhere—namely when it comes to styling our hair. Luckily, by prepping your hair the night before, you can style your hair in record time (and spend more time catching much-needed zzzs). From time-saving miracle products to different ways to set our strands, we consulted to pros to get the lowdown on what to do before bed for easier styling in the a.m. Skip the blow-dry and go for a loose bun. Hair doesn’t have to be damp to style it the night before—good news for those of us starting to feel the chill of fall. There are plenty of ways you can set dry hair for the next morning, too, and the easiest option? Sleeping in a loose bun. “In the morning take it down and run your hands through it,” says Nancy Casiano-Zenna, stylist at Dop Dop Salon. “It will have body and volume, and cut down on your morning routine.” If you struggle with creating full, voluminous styles on a time-budget, this can’t be beat. Whip up an overnight hair cocktail. If you have curly hair, use a mixture of products that nourish, condition, and enhance your natural hair texture. Combine leave-in conditioner and a tiny bit of curl gel and work it through damp hair, says Casiano-Zenna. Next, separate your hair into four different sections, twisting and pinning each section up. When you wake up in the morning, undo the pins and shake your hands through your hair. The result should be big, loose curls. 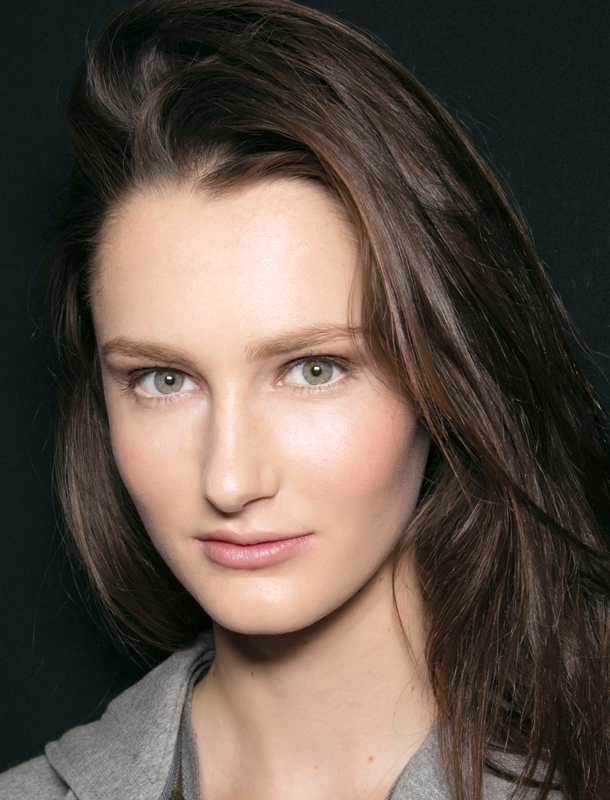 Get bouncy hair, no blow-dryer required. It’s all in how (and where) you pin up. “Part long hair down the center back of your head and pull hair on either side into two ponytails in front,” says Casiano-Zenna. “Twist each toward the back and twirl until they form two buns. Pin them up and go to sleep.” When you wake up in the morning, all you have to do is unpin and shake loose. And of course, spritz on some flexible hairspray for a light hold. Create lasting waves with product and a braid. We’re not going to totally discount the power of a plait. ARROJO Master Stylist Hilary Bilstad says to grab a product like ARROJO wave mist ($22, arrojoproduct.com) to dampen the hair and create a hold. Next, create a simple 3-strand braid at the nape of your neck. “The next morning, take the braid out and you have a beautiful, beachy look,” she says. More From Daily Makeover: Are You Making These Major Hairstyle Mistakes?